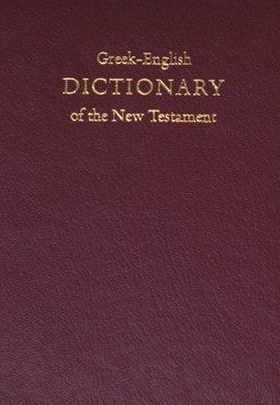 The Concise Greek-English Dictionary of the New Testament is a short dictionary often found in the back of Greek New Testaments printed by the United Bible Society. Each entry is concise, yet it gives specific entries for a few irregular inflected forms as well as unusual glosses from specific passages. It is ideal for students who are just beginning to read from the Greek New Testament. It is a great companion to the Greek New Testament, and comes bundled with the Greek New Testament (NA28) with Mounce Parsings and Concise Dictionary. and the Greek New Testament (NA28) with Critical Apparatus, Mounce Parsings, and Concise Dictionary.